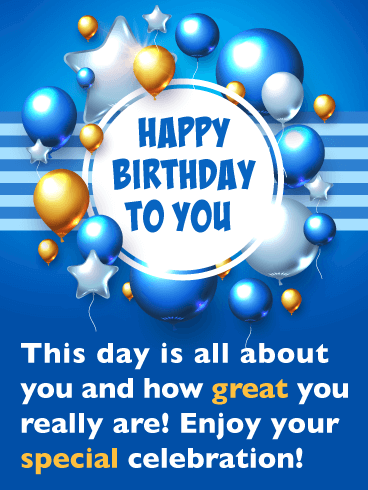 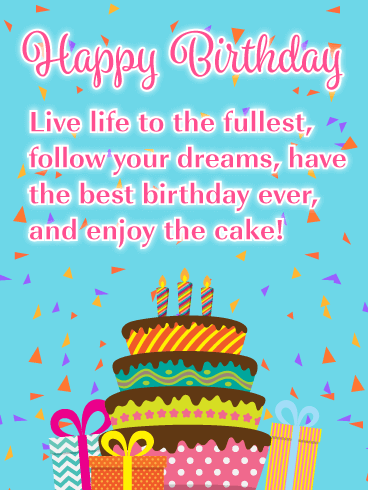 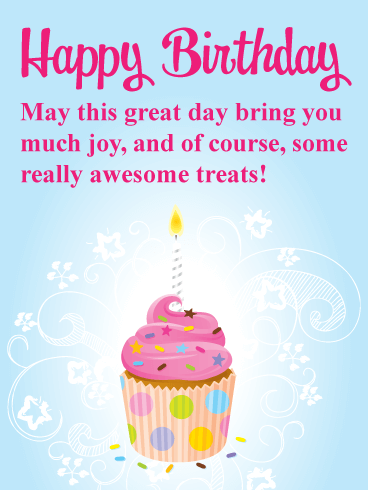 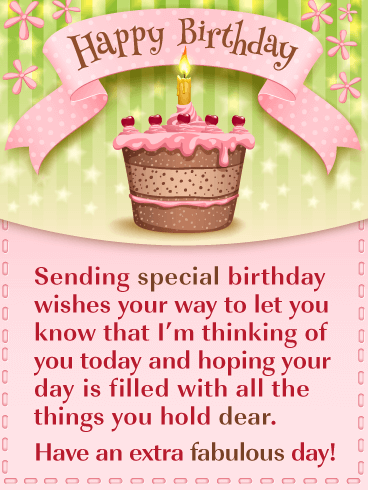 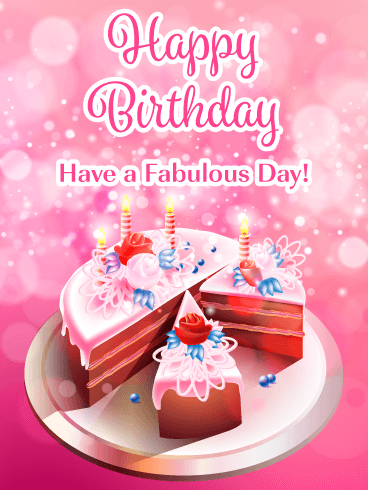 Happy Birthday - Time to make your special birthday wish! 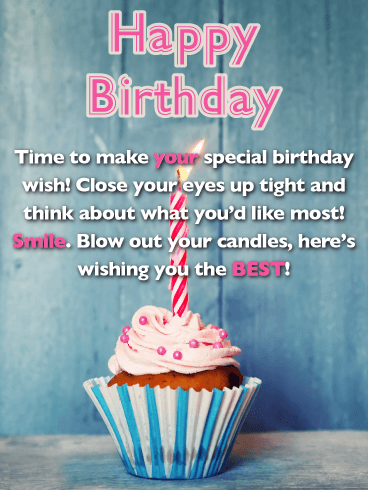 Close your eyes up tight and think about what you’d like most! 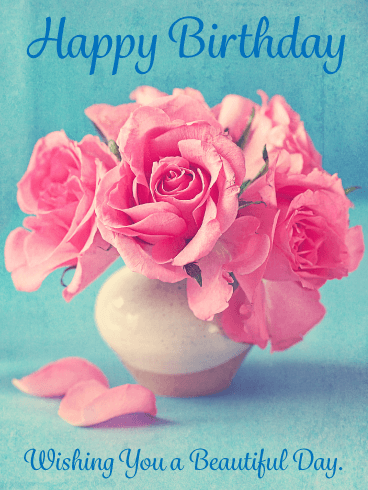 Smile. 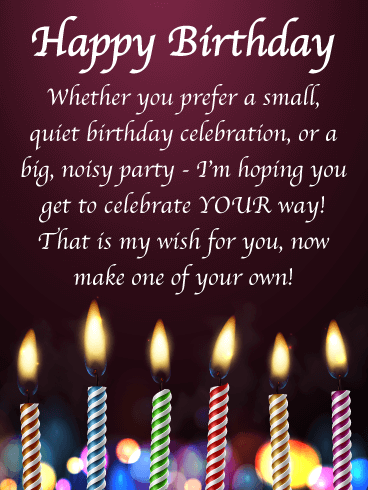 Blow out your candles, here’s wishing you the BEST! 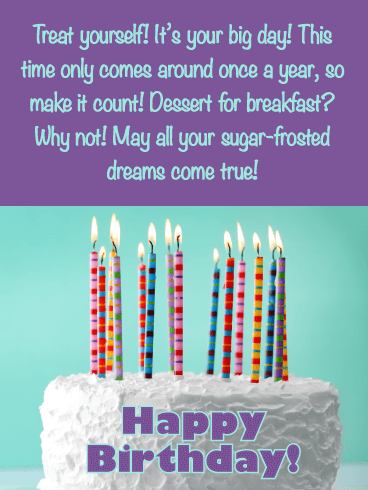 Inspire someone on their big day with this wonderful birthday card that will remind them to live life to the fullest and follow their dreams! 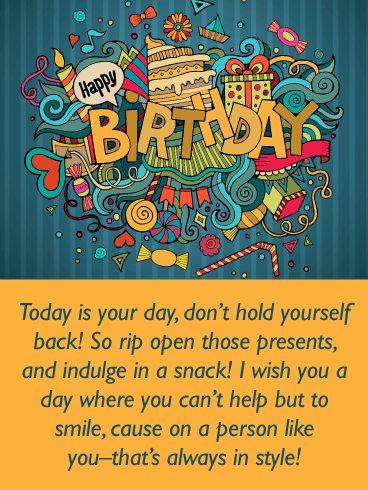 This inspirational greeting card will certainly make their birthday a great one. 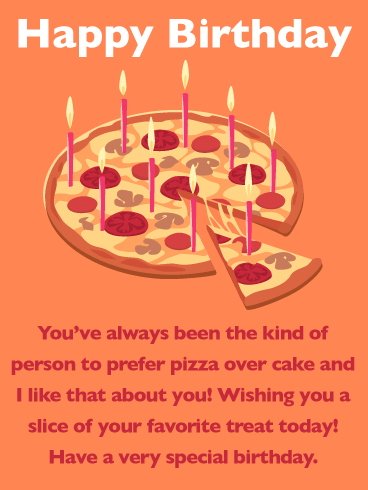 It was designed with a beautiful colorful cake, lovely presents, and confetti! 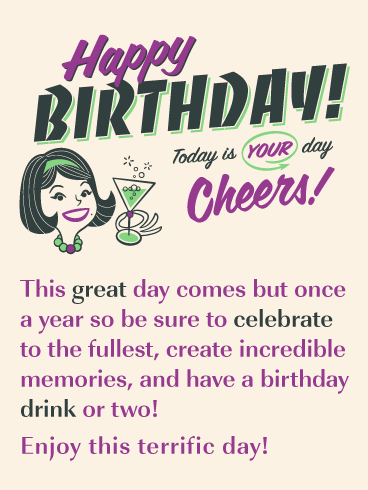 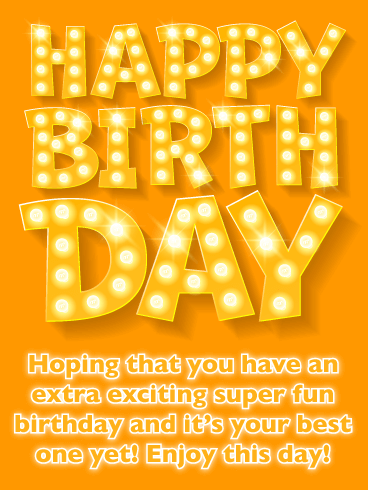 Make someone exceptionally happy by making sure they receive this birthday card today!